8/3/2007 12:17:23 PM Mountain ddd:: I don't follow your trades today Al, I know there's leeway, but they're so far off from the indicated times. 8/3/2007 12:10:15 PM Mountain rnjt:: its following Xtide2 green tide perfectly so far. 8/3/2007 11:41:25 AM Mountain ddd:: now to next 10-15 minutes could be good selloff chance. 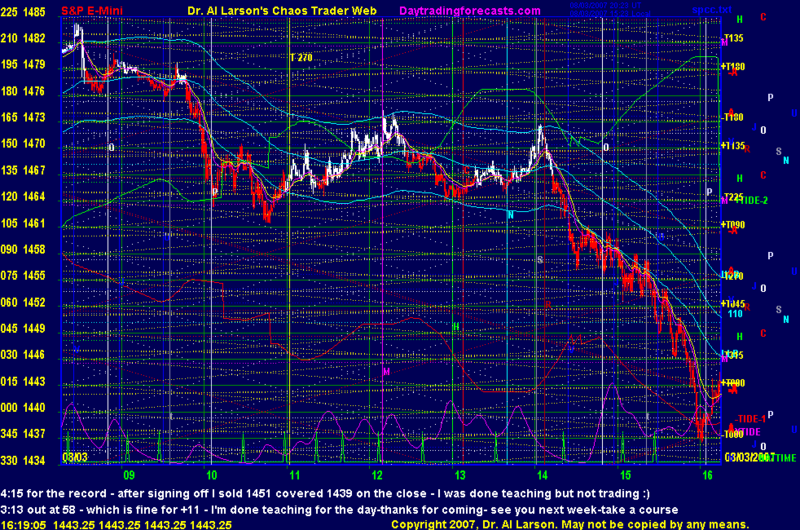 8/3/2007 11:38:19 AM Mountain jab:: Does anyone know the first trading day for the Russell 2000? 8/3/2007 11:17:06 AM Mountain rgh:: do stock specialists play a losing game ??? 8/3/2007 8:09:41 AM Mountain Ben:: Hey Al, did you read my email from last night? That CTME grid is amazing! !